The Derby ensured that all its students were motivated to succeed as they learnt about Higher Education via a series of assemblies delivered to each year group via Greater Manchester Higher. The succinct presentations were pitched to ensure students had all the essential information bespoke to their year group. 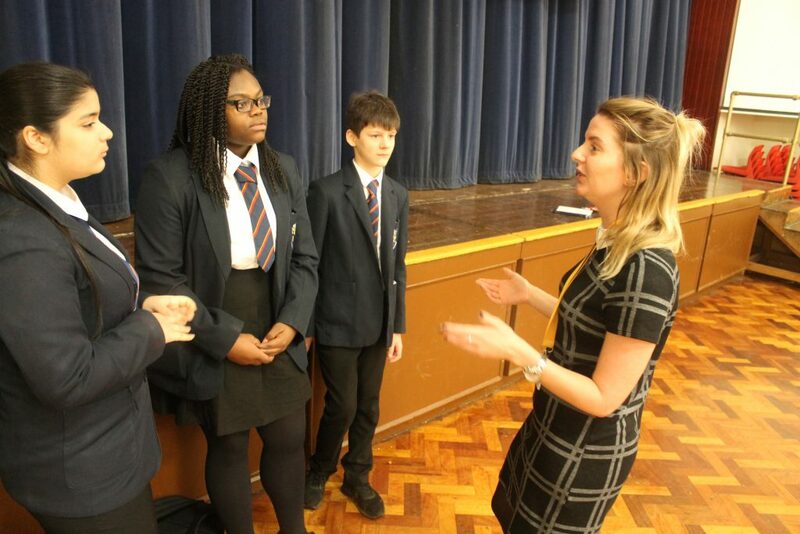 The Year 9 assembly was delivered with clarity and poise by Hannah Barton the Greater Manchester Higher Outreach and Widening Participation Officer. Ms Barton outlined exactly what Higher Education is and why it is worth considering going. Going to university means that over a lifetime graduates earn £100 000 more than those who have not been to university. Aside from this, meeting new people, engaging in new opportunities and doing a subject that you love are all excellent reasons for choosing university study, which will hopefully lead to a successful career. The crucial aspect for this year group (Year 9) was raising their awareness of the importance of the GCSE courses they will be embarking upon next year and the choices they will make later this year. The cost of going to university dealt with extremely well giving students enough information to allay any misconceptions they may have. This was a great way to raise the aspirations of Derby students, preparing them for the exciting journey ahead of them.